Manchester United are reportedly not pursuing the transfer of Real Madrid winger Gareth Bale this summer, according to latest speculation. As noted by our friends at Man United Zone, this most likely means chasing the signing of Borussia Dortmund wonderkid Jadon Sancho instead. 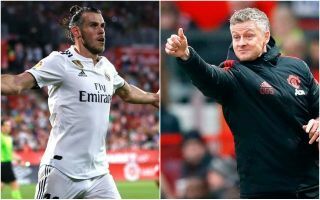 While ESPN claim Bale is not on MUFC’s radar for this summer, they state instead that the Red Devils will be going after younger players to bolster their attack. One of the most exciting young talents in the world right now is undoubtedly Dortmund winger Sancho, with the Independent recently claiming United were lining up an £80million bid for him. The 18-year-old would surely be a better investment right now than Bale, and solve the club’s attacking problems as an upgrade on flop signing Alexis Sanchez is desperately needed. It is now surely only a matter of time before the Sancho transfer rumours strengthen, and United fans will hope this can lead to him making a return to the Premier League by moving to Old Trafford.